When Will Desktop Ad Spending Peak? The growth of mobile advertising is slowing spending directed toward desktop ad formats faster than expected, according to new figures from eMarketer, raising the question of whether spending on desktop formats like search and banners will ever grow again. 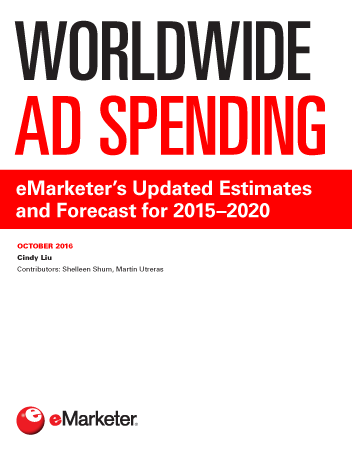 eMarketer estimates US digital ad spending will reach $41.9 billion this year, up 14% over 2012. Of that amount, $7.7 billion—and the bulk of incremental growth in digital advertising overall—will go toward mobile ads. Based on eMarketer’s current forecast, desktop ad spending will peak in 2014 at $35.39 billion, up from this year’s projected total of $34.29 billion. By 2015, desktop spending will drop slightly to $35.26 billion, and decrease further in 2016 and 2017, when it’s expected to total $32.51 billion—just above the amount spent in 2012. Next year, nearly all desktop formats except digital video and sponsorships are expected to see declining spending or flat growth, eMarketer estimates. Most emblematic of the shift to mobile is that desktop banner and search advertising, two stalwart formats in the digital advertising world, are both expected to see flat or declining growth in 2014, for the first time ever. Meanwhile, mobile search advertising is expected to grow 76% this year and a further 52% next year, eMarketer estimates, while mobile banner advertising is expected to grow 100% this year and 54% next year. That equates to a $2 billion increase in mobile search spending next year over 2013 and nearly a $1 billion increase in mobile banner spending. A major reason for the shift toward mobile is simple: With more than half of US mobile users now on smartphones, and time spent with mobile devices increasing each year, many digital publishers are looking to shift ad revenues to mobile. 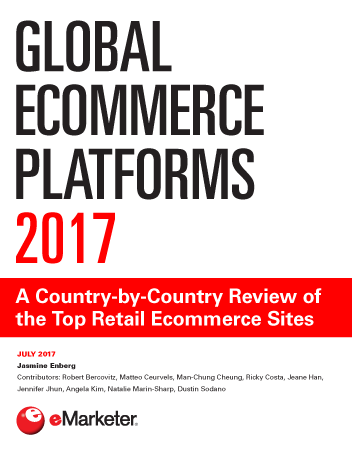 Smartphones and tablet devices also account for a growing portion of US retail ecommerce sales, further contributing to advertisers’ desire to shift dollars away from desktop. Some of the biggest ad publishers have very successfully accommodated this growing demand; Facebook only began selling mobile ads in 2012, and, by the end of this year, the company will account for about one in three mobile display ad dollars spent in the US. Both mobile display and search are expected to grow rapidly over the next few years. Mobile video ad spending, in particular, will continue to grow at triple-digit rates this year, with banners, rich media and other display ads predicted to rise 78.3% compared to search’s 76.4%. Meanwhile, ad dollars to messaging-based mobile formats are dwindling, dropping 3.4% this year after a decline of 11% in 2012. Compare that with spending growth on desktop ad formats: eMarketer forecasts that US advertising spending on desktop search will grow just 3% in 2013 and decline 1% in 2014. US desktop banner advertising is expected to grow by just 1% in 2013 and decline 3% next year. Video will continue to post strong 35% growth on the desktop this year—but that figure pales in comparison to mobile video’s growth rate. Over time, these varying growth rates will help boost mobile to account for greater and greater shares of the respective digital ad formats. In 2011, mobile made up 4.9% of all digital search ad spending; by 2017, it will account for more than half (53.9%), representing a massive shift in the search market toward mobile. Banners will undergo a similarly dramatic shift, though by 2017 a majority of banner spending will still occur on the desktop, with 37.2% coming from mobile. Already in 2013, more than half of all rich media ad spending will occur on the mobile channel. Overall, mobile will account for nearly half of digital ad spending by 2017 (46.3%), up from 11.9% in 2012 and 18.2% expected for 2013. Facebook was one internet giant that moved quickly to channel ad dollars toward mobile. 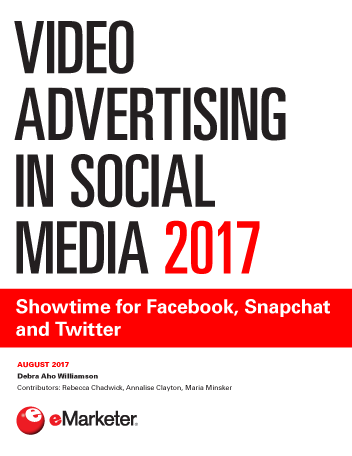 eMarketer estimates that after less than a full year selling mobile ads, 18% of US net Facebook ad revenues came from mobile in 2012. This year, that share will reach 40%, and by 2015 it will near the halfway mark. Twitter has followed an even faster trajectory of monetization on mobile. As of 2012, eMarketer estimates, 52% of the microblogging service’s net US ad revenues were from mobile; by 2015, the share will approach two-thirds. eMarketer forms its estimates of online and mobile ad spending based on the analysis of reported revenues from major ad-selling companies; data from benchmark sources the Interactive Advertising Bureau (IAB) and PricewaterhouseCoopers (PwC); estimates from other research firms; consumer internet usage trends; and eMarketer interviews with executives at ad agencies, brands, online ad publishers and other industry leaders.